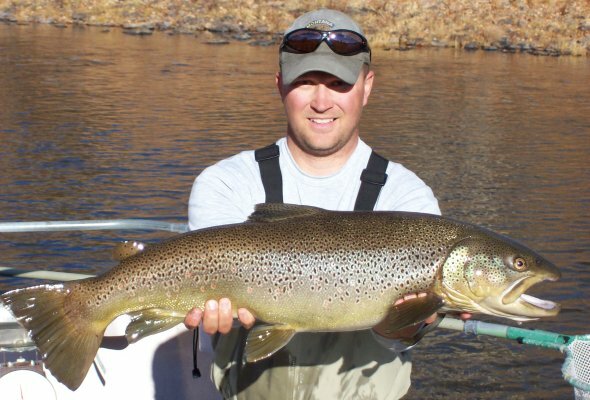 Brown trout can live to ages of 20 years. But as with the Atlantic salmon, there is a high proportion of death of anadromous males after spawning and probably fewer than 20% of anadromous female kelts recover from spawning. The migratory forms grow to significantly larger sizes for their age due to abundant forage fish in the waters they spend most of their lives. They are active both by day and by night and are opportunistic feeders. While in fresh water, the diet will frequently include invertebrates from the streambed, other fish, frogs, mice, birds, and insects flying near the water's surface. The high dietary reliance upon insect larvae, pupae, nymphs and adults is what allows trout to be a favoured target for fly fishing. Sea trout are especially fished for at night using wet flies.